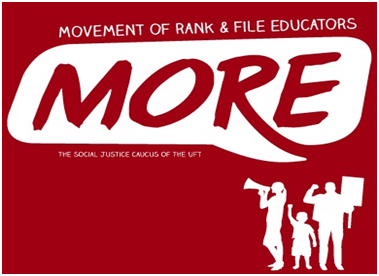 MORE (Movement of Rank and File Educators) invites you to a day long retreat on the nuts and bolts of creating a strong social justice union by mobilizing our chapters. Work with MORE on creating a democratic, bottom up organization that reflects our vision for a member driven UFT. Participate in discussions and workshops on building MORE leaders to stand up to the attacks on teachers, students and communities of New York City. Join MORE to Oppose Charter School Co-locations! 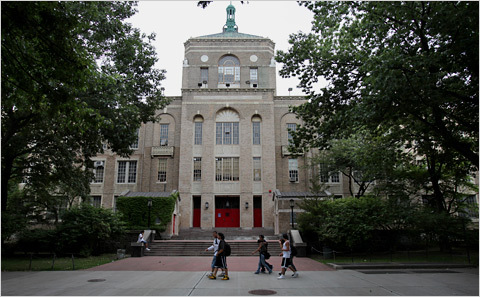 On Thursday, December 20, the mayor’s Panel for Educational Policy (PEP), which acts as a rubber stamp for Bloomberg’s policies, will meet to make decisions about charter school co-locations. The PEP will be deciding on whether to impose co-locations on 17 public schools. Affected districts include: Bronx: District 8, Brooklyn: Districts 13, 14, 17, 18, 21, 23, 32, Manhattan: District 2, Queens: Districts 24 and 75. MORE urges you to join us as we oppose this attempt to further erode and privatize public education. We stand against the proliferation of charter schools crowding out district schools for teachers, rooms and other resources. MORE stands for equitable funding and more resources to the schools that need them the most. Charter schools are not truly public. They are often run by corporations as for-profits. Charters choose students by lottery and counsel out students they believe won’t perform. They server far fewer ELLs and children with special needs. Despite this, 80% of charter students perform the same or worse than students in public schools. MORE believes that access to a high quality public education is a basic human and civil right; it is not something that should be won in a lottery. Instead of creating winners and losers, as the business model of competition and choice ultimately does, we should focus on the real reforms that will finally achieve the promise of one free, fair, high-quality and integrated public education system. If you agree, join us to protest these new co-locations! 23rd Street station, 1 train or 23rd Street station, C, E lines.